One-on-on tutoring improves confidence and helps students to succeed academically. Our tutors travel to you at a time that is convenient for you and your family. 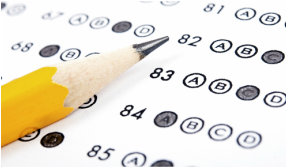 Our experienced test prep tutors provide 1:1 individualized test prep for standardized tests such as the SAT, ACT, ISEE, HSPT and more! ﻿​Total Tutoring Services is the Greater Baltimore Area's first choice for quality in home tutoring. We work with students of all ages, Pre-K through adult. Our tutors have extensive experience in providing one-on-one instruction in Math, English, Science, History, Foreign Languages as well as SAT, ACT and ISEE Test Prep. In addition to core subjects, our tutors can provide academic coaching and help your child learn crucial organizational strategies and study skills that help performance in all areas. What sets Total Tutoring Services apart is the uniquely customized approach to private tutoring. We realize that one size does not fit all – every student has unique needs and learning styles. We match students with a tutor based on their academic needs as well as their personality and learning style and we customize our approach based on the individual needs of the students. At Total Tutoring Services, we develop a customized tutoring plan for each of our students. We work together with your family and your teachers to identify the right strategies and the perfect tutor. ​The process starts with your first phone call! ​in-depth consultation to discuss your child's needs. Our Tutors are Ready to Help Your Child Succeed! ​Call Us Today at 443-604-9358 to Get Started.